A portrait mod for Jas! First in my Redux project. This mod redesigns Jas's vanilla portraits and character sprites to make them a bit cuter. 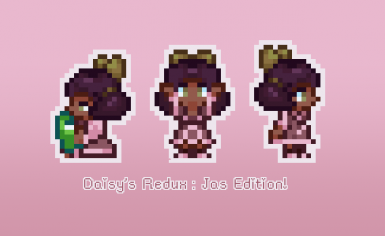 ﻿Daisy's Redux : Jas Edition! 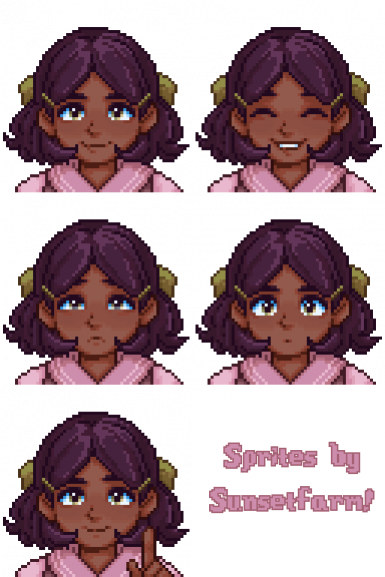 It redesigns Jas's vanilla portraits and character sprites to make them a bit cuter. ❧ Run your game and enjoy! If you have any questions about the mod, please feel free to ask! For more Stardew Valley content from yours truly, check out my main art blog﻿ or my sdv askblog﻿!